Saving on all your online shopping and shipping needs through FreeShipping.com couldn't be easier. Scroll down to find out how to use all of your benefits, or click any benefit link below to find out how that specific benefit works. Select a retailer from our "Most Popular Brands," "Trending Brands," and "Recently Viewed" sections. Click any "Visit Store" button on your chosen retailer's page. Shop and make your purchase as you normally would, using the browser window that opened when you clicked the "Visit Store" button. As soon as we receive notification of your purchase from the retailer, we'll apply your 10% cash-back earnings to your Savings Center account. You'll receive a check each month for your cash-back earnings in the previous month. IMPORTANT: To earn 10% cash back, be sure to make your purchase through the browser window that opens when you click the retailer's "Visit Store" button on FreeShipping.com. That way, we can confirm your purchase and credit your 10% cash-back earnings to your Savings Center account. As a FreeShipping.com member, you can earn up to $1,000 every membership year through our 10% cash-back offer! For complete details on your 10% Cash Back benefit, including eligible purchases, how the 10% cash-back amount is calculated, and more, please review our Terms of Service. You may add, edit or delete any linked cards by accessing the Update Profile tab in the Local Cash Back section. On the retailer's page, click "Visit Store" on the coupon you'd like to redeem. Where applicable, copy any coupon code that displays, and/or follow the instructions provided. Shop as you normally would, using the browser window that opened when you clicked the "Visit Store" button. Make your purchase in that browser window, and enter any and all applicable coupon codes as you do. Our participating stores update their coupon offers all the time, so be sure to stop by regularly to take advantage of the latest deals! As a FreeShipping.com member, you have unlimited access to our exclusive retailer coupons throughout your membership year! For complete details on your Coupons benefit, including participating retailers, restrictions, and more, please review our Terms of Service. Complete and submit an online Shipping Rebate form. Just click the "Rebates" tab to access our Rebate Center. IMPORTANT: To be eligible for a shipping rebate, you must make your purchase through the browser window that opens when you click a "Visit Store" button on FreeShipping.com. As a FreeShipping.com member, you can claim up to $500 in shipping rebates every membership year. For complete details on your Shipping Rebates benefit, including eligible purchases, where and how to send your proof-of-purchase documentation, and more, please review our Terms of Service. Complete and submit an online Return Shipping Rebate form. Just click the "Rebates" tab to access our Rebate Center. A receipt for the return shipment displaying the date, retailer information, and price paid. As a FreeShipping.com member, you can claim up to $500 in return shipping rebates every membership year. For complete details on your Return Shipping Rebates benefit, including qualifying purchases, where and how to send your proof-of-purchase documentation, and more, please review our Terms of Service. Complete and submit an online Price Protection Rebate form. Just click the "Rebates" tab to access our Rebate Center. For the lower-priced item, a valid advertisement or printed copy of a web page that shows the price, item, description, manufacturer, model number, retailer information, and sales dates. IMPORTANT: To be eligible for a price protection rebate, you must submit your claim and all required documentation within 90 days of your original purchase date. As a FreeShipping.com member, you can claim up to $1,000 in price protection rebates every membership year. For complete details on your Price Protection benefit, including qualifying purchases, where and how to send your documentation, and more, please review our Terms of Service. Click on the "Print a Label" tab under the "Return Center" tab at FreeShipping.com. Drop off your return shipment, with the label attached, at any FedEx® location to have the package delivered. To qualify for savings on return shipping, the item you're returning must have been purchased through the retailer links available on FreeShipping.com. You must be an active member when you return your shipment, and you must reside in the 48 contiguous United States. Free return shipping via FedEx Ground is not available to member who reside in Alaska or Hawaii, nor is it available to residents of Iowa or Canada. This benefit offers you savings on standard FedEx Ground shipping charges when you're returning an eligible purchase to a retailer that participates in the FreeShipping.com program. 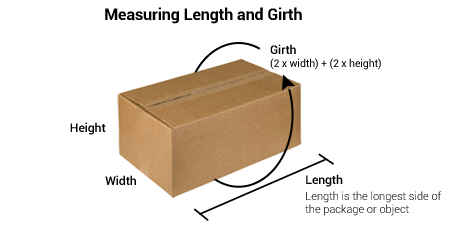 It does not offer savings on expedited delivery services, insurance coverage for the return shipment, any restocking or other fees that a retailer may apply, or any other services or features, such as declared value, surcharges, premiums, accessorial charges, or special handling fees for the return shipment. Also, please note that our savings offer applies to return shipping charges alone; it does not and cannot guarantee that you'll qualify for or receive a refund or store credit on your purchase from the participating retailer. Please note that some retailers place shipping and other restrictions on certain products; you'll need to check the individual retailer's website to ensure that it accepts returns of your purchased product. In order to qualify for a purchase refund from a specific retailer, you must comply with that retailer's refund policy and procedures. Download the Barcode Scanner by FreeShipping.com mobile app by visiting the app store on your iOS device. Open the Barcode Scanner app and login with your FreeShipping.com member username and password. Tap the blue barcode icon in the bottom menu to begin scanning. You’ll see a message at the top of your screen that says, “Ready to Scan”. Locate the barcode on the item you’d like to scan. Adjust your device so the white outline on your screen fits over the barcode on the item. Once the barcode is detected, the app will return a list of results. You’ll see which retailers in our network carry the item and the price offered by each retailer. If you’d like to purchase the item, tap on a retailer from the list of results. The retailer site will open within the app. Simply make your purchase through the in-app retailer site to earn cash back. To track any cash back earned through your mobile app purchase, visit your Savings Center on FreeShipping.com. You can also view your scan history by tapping the clock icon in the bottom navigation. Here, you’ll see a list of items you’ve previously scanned. To logout of the Barcode Scanner mobile app, tap the exit icon on the right side of the bottom navigation. Select “Log Out” to confirm your submission.